Features: Convenient pockets for carrying food, water, and gear for you and your pet wherever you go Stylish, Lightweight and Washable, The PU mesh in the middle is breathable and cooling, bring your loved dog comfortable feelings Neck ci.. Item Description: 100% brand new and high quality Comfortable shape to hold Small enough to be hidden in your palm Raised button to activate the click Teach tricks and develop your relationship with your pets Comes with flexible wrist strap .. Features: Made of the highest quality nylon webbing and color coordinated stitching Includes nickel tongue buckle and D-ring to allow for easy tie out and with an extra keeper dedicated to ID info Adjustable dog collar Color: Red/Blue M.. 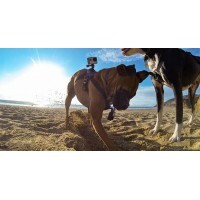 Features: Create fun video from a dog's eye view. 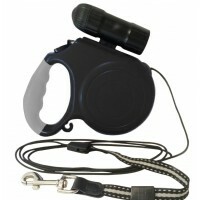 Chest mount is removable to accommodate smaller dogs. Padded at all adjustment points to ensure your pet's comfort. Fully Adjustable. 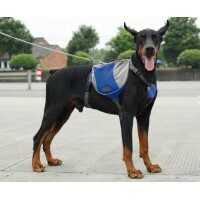 Suitable for dog form 7kg to 54kg. Two mounting loca.. Item Type: Seat Belts & Padding Item Width: 3 cm Special Features: Dog Pet Safety Seat Belt External Testing Certification: CE Material Type: nylon fabric.. 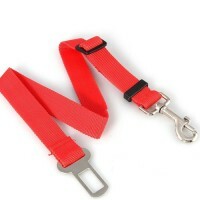 Helps to keep you: and your dog & cat safe during drives. Pet can sit, .:.. 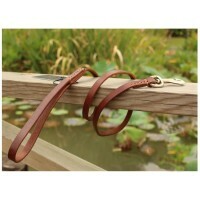 Features: 100% full leather offers durability and will become softer, Great leash for dog show, patrolling, walking. 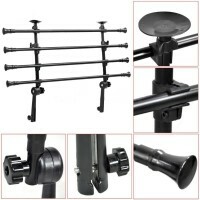 Law Enforcement and Military grade professional training equipment Solid hardware with high quality snap hook This traini.. 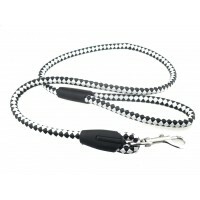 Features: Safe and humane Gently stops your dog from pulling Great for dog walkers and animal shelters Makes walking your dog more enjoyable Easy to handle Length 110cm Material: Leather Product dimensions (LWH):&nb..
Material:PVC Product dimensions (D): 13.5 cm Package dimensions (HD): 15 x 15 x 15 cm Weight: 500g Features Makes fun giggle sounds when it moves around. 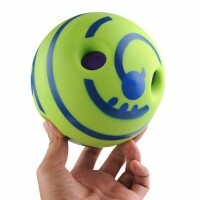 Fun for dogs of all ages & sizes. Helps keep dogs happy, healthy & fit. .. 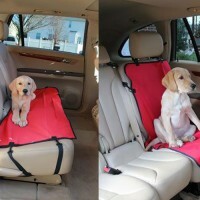 Details: •The seat covers can be used in cars, trucks, vans, RV's and more •Use for your pet dog or pet cat •Keeps upholstery clean, dry and looking new as well as protecting it from getting scratched or ripped •Adjustable quick connect straps at..
Material: Plastic, Nylon Product dimensions (LWH): 17 x 18 x 4 cm, rope 5m Package dimensions (LWH): 28 x 23 x 5 cm, Weight: 0.3kg Features HIGHLY RELIABLE - The strength tested polyester cord is housed in a durable plas.. 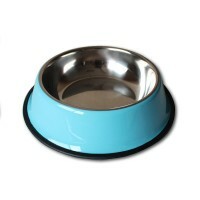 Features: Hygienic and easy to clean Use these stainless steel pet bowls for food or water. Stainless steel bowls are rust and odor resistant This bowl has a non-skid rubber ring that prevents sliding and provides stability Materia.. 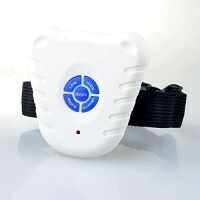 Features: Effective training device to control your dogs excessive barking in a non-harmful way Fully weather resistant collar design can withstand tough daily abuse and fits comfortably around the neck of your favorite furry companion Suit..
Material:Metal Product dimensions (WH): 53-142 x 40-54 mm Package dimensions (LWH): 85 x 42 x 8 cm Weight：5.5kg Features Specially designed to provide safety and protection for both driver and pets Easy to install and adjust (supplied a.. Features: Perfect solution in keeping your pets contained in the back seat. 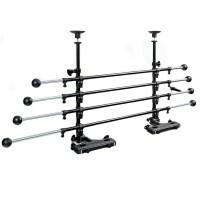 It will keep them from constantly going from the cargo area to the driver's and passenger's seat. The Pet Barrier creates a more comfortable and safer h..